Most people are familiar with antibodies than they are with antigens. What most non-medical folks don’t know is that these terms are closely related and are characterized by different functions. This article explains the important differences between the two. An antigen is a protein brought about by a virus or bacteria. The body’s adaptive immune system sees antigens as intruders, and as a response, releases another kind of protein to “fight” these intruders. 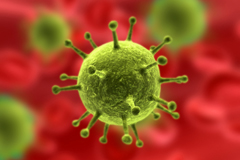 An antigen is usually a molecule attached to the surface of a virus or bacteria. Common forms of antigens include plant pollen, toxins, cells of transplanted organs, and bacteria. The adaptive immune system does not normally attack its own molecules. However, if this safety feature fails, the immune system will see healthy cells as intruders and attack them. The first time an antigen comes in contact with the body, the immune system launches a full-on response to combat the foreign intruder. The proteins that will be released to counter the antigens are produced for the first time by the immune system. The next time the same antigen invades the body, a full-scale response is no longer needed as the protein that will counter the antigen already exists. This means that the human body takes less time fighting illnesses it has encountered in the past, but takes longer to defend the body from new ones. Vaccines usually contain dead antigens so that the immune system will already have the means to kill it. 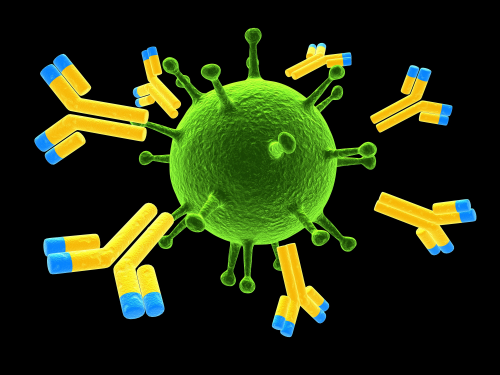 An antibody (i.e. immunoglobulins) is a large Y-shaped protein contained in blood and other body fluids. It is a key component in the body’s adaptive immune system. Antibodies work by recognizing a specific part of its sole target, the antigens. An antibody has a lock-like structure at each tip of its “Y” which fits a specific key-like structure located on an antigen. This attaches the antibody and the antigen to each other. With this locking mechanism, an antibody can “tag” an infected cell and neutralize it or have other parts of the immune system attack it. The introduction of a new antigen may cause disease symptoms that may not appear the second time it invades simply because the immune system already has antibodies to stop the antigens. For example, we only get chicken pox once simply because the specific antibodies already exist to fight the antigen.The humoral immune system produces these antibodies. The human body is capable of producing approximately 10 billion antibodies. So what’s the difference between an antigen and an antibody? An antigen is a protein brought about by a virus or bacteria. The introduction of an antigen into the body triggers the production of antibodies to suppress the invading particle. Antibodies are also proteins, and are formed in the humoral immune system in response to the invasion of antigens in the body. In addition to being proteins, antigens can also be carbohydrates, lipids, or nucleic acids. On the other hand, antibodies are just proteins. Antigens are “hooks” located on the surface of a cell while antibodies are found in body fluids, mucous membranes, skin and lungs, and eyes and ears.